Learn the programming concept Model (M) - View (V) - Controller (C) aka MVC framework in PHP using CodeIgniter. This 3 months course will help you to learn the concept of MVC and implement in live project using CodeIgniter which is a very powerful and fast framework. MVC frameworks are very much in demand for job all over the world. Learn various attack methods like XSS, CSRF, SQL Injection and build web app securing your site from these attacks. Continue with the project now building a secured building application. Complete the project with blogging app. Receive comment and manage from admin panel. Learn OOP programming in PHP. Learn MVC Concept and how you can apply the concept in your application. 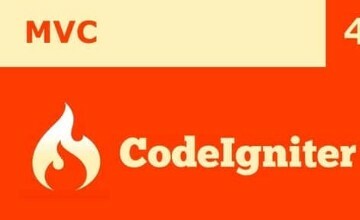 Learn CodeIgniter in details and implement MVC in your application. Basic web design and development. For beginners you may find this course more effective and then complete this course. All course materials will be provided to the student. All coding examples, projects and hands on coding will be hand over to students. Live project using MVC concept. The project will be based on participant's choice considering within time limit of the course. The project could be Login application or Blog application or admin panel based application etc.